To many people the natural world is beautiful. 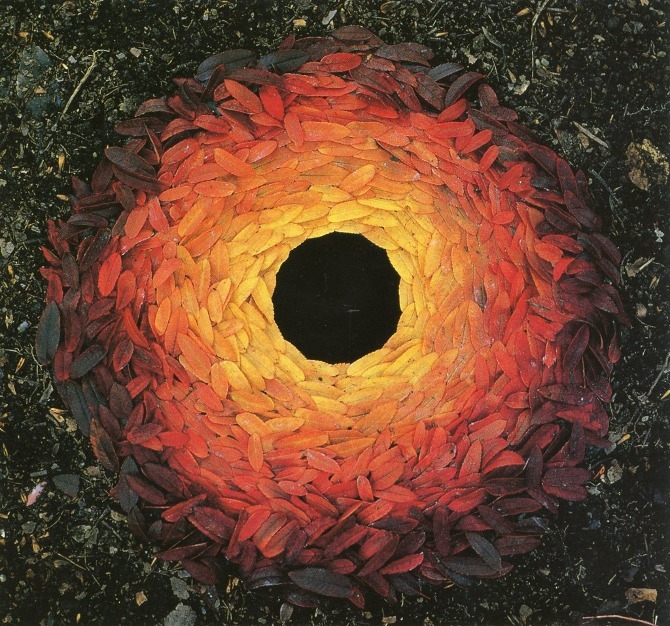 Famous artist Andy Goldsworthy took that beauty to a new level with his natural art as seen in the pictures below. In our natural art activities, we will travel through the forest collecting bits of nature (that are dead and down on the ground) and create our own artwork. Our materials will change as the seasons do, but it will be a nice time to explore the forest and look at the world through a different lens.